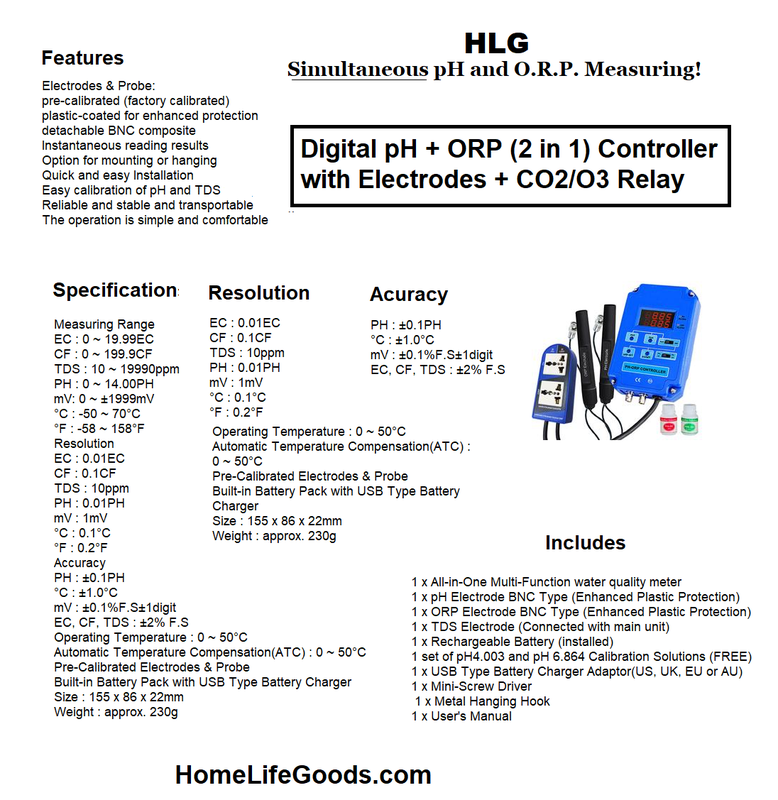 Measures pH and O.R.P. Simultaneously! Our pH + O.R.P. Controller is the most advanced type as it can simultaneously measure and display the pH value and redox value (ORP) and others at the same time...which is contrary to almost all other PH/ORP controllers. It has 2 BNC electrodes (pH and redox) that you can easily replace. It has 2 circuits and 2 switched sockets. You can simultaneously control your CO²-plant (via pH value) and an ozoniser (via O.R.P. value) at the same time. You can operate the equipment with only the pH value or just the redox value. Simply set the desired pH/redox values in the controller.